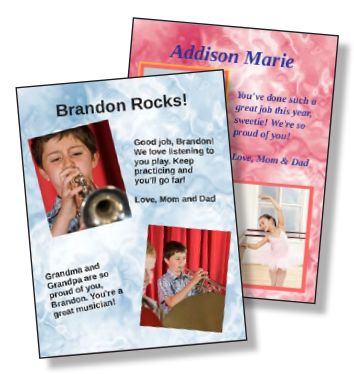 Parents love to celebrate their students with these personalized pages. Parents easily create and pay for Yourbook pages online. We print, package and ship directly to their home! 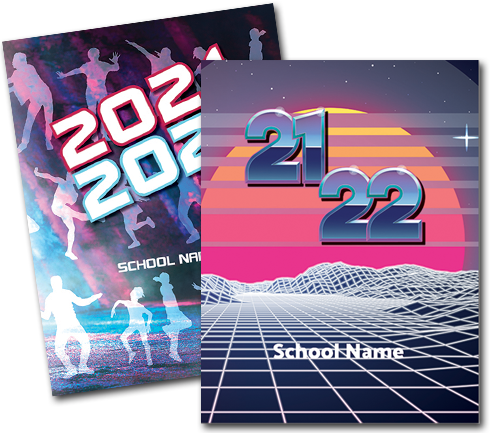 Use these professionally-designed posters to advertise the sale of yearbooks in your school. The 11" x 17" hall posters are printed with your order deadline and price per copy. 5 designs to choose from. Help fund your yearbook with Online Parent Ads. Parents choose their template, create their ad, submit and pay — all online! Our professional graphic artists have created 18 amazing new covers for the 2016-2017 school year. Love Lines are dedications to the students that will be published in the yearbook. Selling dedications is a great way for students to be recognized for their hard work, and it’s another great way to fund your yearbook. Plus, it’s done online, so it’s quick and easy! Parents can say it BIG with a banner to commemorate their student’s success. These 18" x 54" banners are designed and ordered online by parents, then shipped directly to their home. School banners are also available to advertise when yearbooks are on sale or to celebrate your school — available in 54" x 18" format.